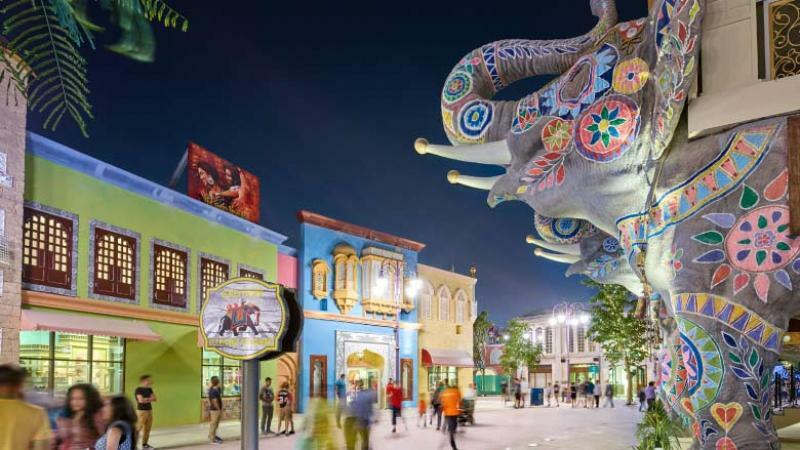 If you love Indian cinema—with its whirlwind romances, its opulence, its stellar musical numbers, and all that fabulous dancing—then you must come and visit Bollywood Parks Dubai, the world’s first and only themed amusement park dedicated to the beauty and brilliance of Mumbai’s film industry! There are 5 areas in the park you can visit, with each one more exciting and fun than the next! 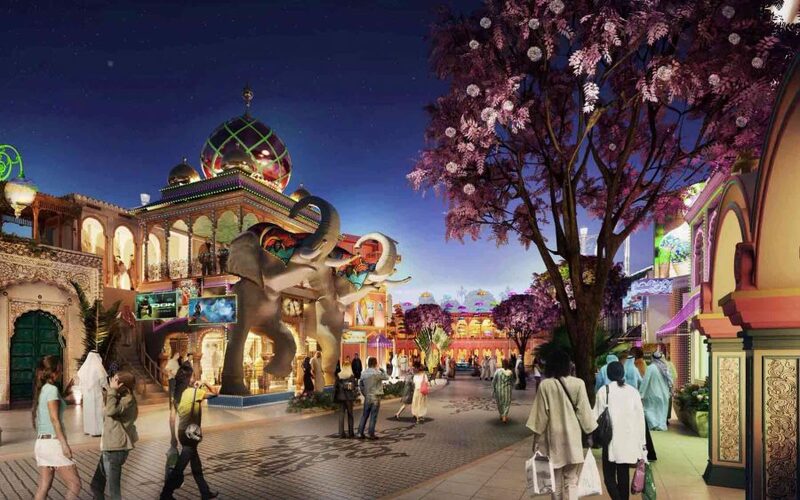 Royal Plaza, Bollywood Boulevard, Mumbai Chowk, Rustic Ravine, and the Bollywood Film Studios featuring the Hall of Heroes all have special features, amusements, and shows for the whole family. Whether you want a thrill-ride adventure or you want to watch the latest dance moves from your favorite Bollywood blockbusters, you’ll have a great time in the park, no matter where you choose to go! Whether you want to soar through the air with superhero Krrish, shoot ray guns against frightening dacoits of Sholay, or take the little ones to a traditional rural Indian Cricket Carnival with a Ferris wheel and merry-go-round, you’re sure to find a ride or attraction to please the entire family! There are six amazing restaurants at the park, with fare not only for the kids, but parents and aunts and uncles as well. Whether you want some ice cream or a milk shake at Jumbo Café or you want something spicy and hearty from Spicy Dhaba, the food and beverages are delicious and affordable! Every fan of Bollywood knows that the best and spiciest food comes from India, so no matter what dish you choose, you’re sure to be pleased with your selection. Bollywood is known for its entertainment value and family-friendly themes and plots, so everyone will enjoy the musicals and stage shows at Bollywood Dubai! Whether you want to see rough-and-tumble stunts or you just want to check out the latest dance moves, there’s a show for everyone at Bollywood Dubai! If you love fancy costumes and beautiful women, then Bollywood Dubai’s shows are for you! Everything from adventure to romance is featured, and there is even a special venue for private events, Rock On! No matter what kind of music or films you like, chances are good there’s a Bollywood show just for you! Come visit Bollywood Dubai for your family’s next Bollywood-style adventure! You’ve never experienced anything like this before!